There are two things driving Android volume share growth right now: 1.) excellent hardware, notably from Samsung and 2.) Google’s decision to double-down on Jelly Bean. That said, Google has pushed Android 4.2 as an over the air (OTA) update for Nexus 4 and Nexus 10 testers with final code to follow shortly. Whether you call Android 4.2 or Jelly Bean+ (a.k.a. “A new flavor of Jelly Bean”), Google has an update that brings lock screen widgets and multi-user support — just in time for the Tuesday, November 13 Nexus 10 launch. According to SlashGear, Android 4.2 allows users to place widgets, like calendar and email, on a device’s lock screen. This feature has been available in some device vendor’s skinned Android distributions, but has come home to Google’s own version of the mobile OS. Next up is multi-user support, something that’s been around and will now be part of the Nexus 10’s feature set. Device admins can set up customizable spaces for individual users. Although the mobile operating system market is at least for the time being a two-horse, competition is nonetheless fierce with Apple and Google one upping each other with regular whole number and point releases coming at a steady rate. This is smart and is a development strategy pulled straight from Apple’s playbook — a very, very competitive move. 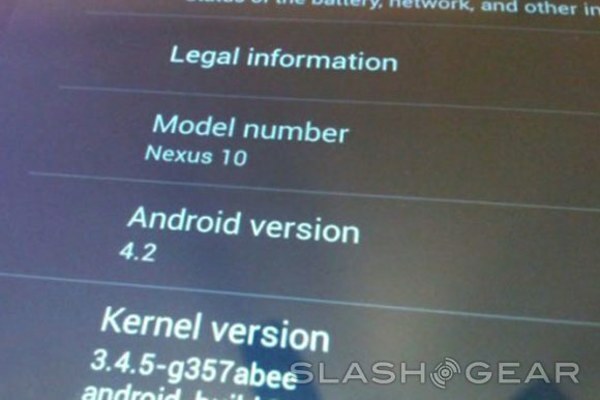 What’s your take on Android 4.2? Share your thoughts in the comments below.